How to teach t ball: Coaching tee ball can be very easy with some instruction. If we mess up how to teach t ball we could create a disaster. This is the entry level impression to baseball. This is the first go around with families and baseball. If we do a good job chances are players and families are going to return next year. If we stink up the experience then the kids will go play soccer and never return. So, we better get it right! Knowing how to teach t ball can be fairly easy when you plan a few minutes before the t ball practice or tee ball games. Check out my list on teaching t ball. 1. Keep safety in mind at all times. Are you aware to various types of safety balls that you should be using? Can you take action and implement procedures that lower the risk of injuries when the players have bats and baseballs in their possession? No one can eliminate completely the risk of injury. 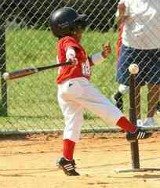 Are we doing all we can to keep our tee ball players safe and minimize the risks? Baseball parents expect their kids to in a safe environment at baseball organizations. Check out and get up to speed on safety procedures of youth baseball operations. I see this over and over. Baseball coaches ruining batting practice. 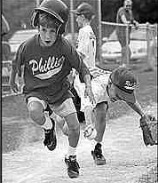 It takes place in all age brackets in youth baseball. There really is no better way to ruin kids love for the game than to run batting practice the wrong way. The fix is very easy yet almost no one takes the time to learn how. Basic baseball practice planning and a bit of pre-planning and presto. Unless you know how to plan a practice with a group of 12 little 5 & 6 year olds you might be in for trouble. BORING: This will send kids to soccer next year. Get up to speed with my basic baseball practice planning to maximize player development. 3. 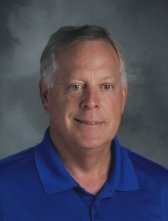 Baseball Practice Coaching skills: Are you up to speed in the vitally important coaching techniques? Do you know when to stop practice and instruct one player at a time? Is stopping baseball practice and teaching one player at a time appropriate? Where and how do I work with ballplayers one-on-one? How important is it to know how to keep baseball practice up-tempo? Being familiar with baseball coaching skills and techniques can make or break a ball players spirit for the game. Build your player development coaching skills by accessing the resource page and look up the various options. This is the best tip you could ever do to a young baseball player. The best time to start it is when starting out with learning how to teach t ball. If they are part of the 25% of kids who play baseball past age 14 they will love you. If you want to get scouted for the pros and college one day then your chances are dramatically increased if you can do this one thing. You do not understand the importance of this advice right now. In fact you probably think I don’t know what I’m talking about. Trust me. It is supply and demand. The demand is high and the supply is low for this one commodity in the higher levels of baseball. I would make it a soft rule—everyone on my team will do this one thing all the time. That is how powerful, valuable and important this is to a player that makes it to the high school level and above. For more on my tips on how to increase the chances of becoming a college prospect go to more resources and deeper analysis. If the tee is not placed in the correct position you could be damaging the hitters. Hardly any t-ball coaches know where to place the tee in relation to where the batter stands in the batters box. This is a simple fix if you know where to place the tee in relation to the batter and homeplate. Get this wrong and you can do some big damage to a hitters player development. Get this right and understand where the tee should be placed and the likelihood of hitting success and enjoyment drastically increases. Find out all the insider tips for developing effective hitters at the resources pages. This is maybe the biggest factor in baseball players going on the staying in the game the longest. There is no guarantee that this inside baseball tip will work but it surely will increase the likelihood of success. God given talent is important of course in baseball player's potential. A player's athletic ability can be a big factor in successful baseball playing. Athletic ability alone is just one component in determining success or lack of. Knowing other factors that improve the likelihood of success is vitally important. Do you know what equipment that all players should be utilizing at home away from organized baseball? Can you share with baseball parents a vital tip for helping their kids improve their baseball skills? Do you know what 'inside baseball' people do with their kids to help them improve baseball skills? Help the baseball parents increase the chances of success for their children by investigating the resources available to help. No need to give baseball signs. Just let everyone hit a way. There is no bunting anyway. There is no baseball strategy in learning how to teach t ball. There are no stealing bases or bunting so there is no need for baseball signs offensively or defensively. In many ways teach kids how to play t-ball is about as easy as it gets. Everyone plays, everyone bats, no second-guessing you for not bunting or stealing. Everyone is happy and we hope no one gets hurt too bad. They probably keep score but most tee ball parents are not concerned about winning (yet). Your biggest job when learning how to teach t ball skills is in more detail in my resources. Are Your Maximizing Player Development? Ask, how can I maximize the number of catches, throws and swings while the teams are together. This is what the best coaches do when learning how to teach t ball. This is actually more vital than the game itself because most of the tee ball players will rarely touch the ball once the game starts and only get to bat couple or three times anyway. Find out how to maximize player development pre-game time. Use your pre-game time efficiently when learning how to teach t ball. 9. Know How to Help Players Throw? Baseball throwing is often neglected or taught incorrectly. Why? Because throwing is hard to teach. Most coaches go to YouTube and look for some quick fix amateur drill like 'make a snow angel' or something similar. 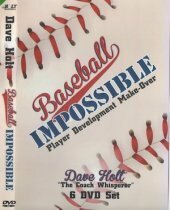 My Throwing Impossible player development model gives you a professional baseball style throwing system. 10. Use the Rapid Fire Fungo Drill. Adapt the fielding drill by having the coach underhand toss or under hand roll the ball to the players. Players can get dozens of touches in a short period. No one expects the young t-ball player to master the game or all the positions. We do want them to handle the ball and learn how the game kind of works. Take it easy mom. It will be okay. Should we assign permanent positions now or let kids play all positions? Do we specialize a specific position and stay there all the time or play multiple positions? Should the coaches son's and/or the best players always play shortstop? These questions are addressed further in the resources topics in the player development items. It is not real hard to know how to teach t ball. Just a little pre game or tee ball practice planning and you should be fine. Just remember if we blow it this first time-entry level experience we might be chasing kids far away from the game.